Step 1: In your WordPress dashboard, hover your mouse pointer over “pages,” and select all pages. Tip: if you are already logged into your WP-Admin, you can simply navigate to the page and click the “edit page button, located in the top tool bar. Step 2: Make your desired page changes, such as adding or removing content, as needed. Tip: you may find using the “visual” edit screen to be more user friendly. Select the visual tab, located in the upper, right-hand corner of the content editor area. Step 3: Click the “update” button (far-right) to keep your changes, or, if you are editing a draft page, you will need to click the “save draft” page or “publish,” if your page is ready to go. Tip: you can click the “preview” button to get a sneak peak of what your page will look like before you publish it. 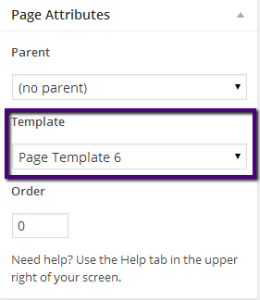 You can also change the layout styling of your WordPress pages by selecting the “template” style, which is located under your page attributes box. There you can typically choose between a ‘full page’ or ‘default layout,’ depending on the WordPress theme you are working with. Some themes allow choices between page templates with optional sidebars alongside your main content, which would allow you to create additional content areas or other website features, through the use of WordPress widgets. 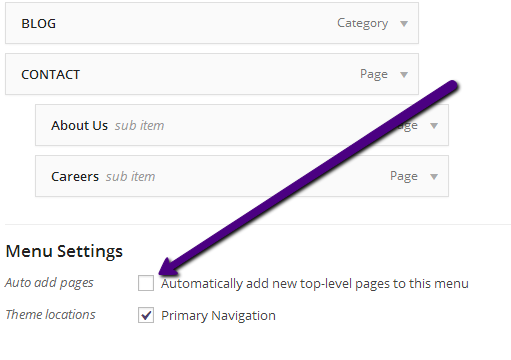 Step 1: In your WordPress dashboard, hover your mouse over “pages,” and select ‘add new’. To add a new blog post, mouse hover “posts” and select ‘add new’. Tip: if you are already logged in, you can click the +NEW button from the top WordPress toolbar and select either ‘post’ or ‘page’ option. Step 2: Enter your page title by clicking the headline content box above the content editor area. Tip: you can also edit your default page URL by double clicking the editable highlighted area that appears in the permalink section. Step 3: Click the ‘publish’ button (far right) or ‘save draft’ if you plan on completing work on the page later. Tip: click the “preview” button to get a sneak peak of what your page will look like before your page gets published. If you are already familiar with Microsoft Word and other similar programs, you’ll find working with your WordPress page editor very comparable. Adding styles to your page fonts, such as headings, color and alignment preferences are exactly the same in WordPress as they are in Word. Now that you’ve created new pages, you’ll need to add them to your main navigation menu. New pages can automatically be added to menus by selecting ‘automatically add new top-level pages to this menu,’ located directly beneath the menu tree. Step 1: From your WordPress dashboard, hover your mouse over ‘appearance’ and select “menus”. Step 2: Select the page (or pages) you would like to add to your menu by locating it under the pages box (left) and checking the corresponding box. Once you have finished selecting your item(s), click the ‘add to menu’ button. Step 3: Once your item has been added to the menu, you can change the order of the menu, as it appears on your website by simply clicking and dragging the item to the desired position. Don’t forget to click ‘save menu’ when you’re done. You can easily create ‘drop down menu’ items by clicking and dragging them into an indented position as shown. Secondary drop down menu items (a drop down of a drop down) are created by indenting them another step beneath the one above. You can also rename menu items by clicking the “page” drop down tab and inputting your desired text. You may also consider creating ‘custom’ menu items to link to specific areas of your website or to custom URLs (web links). 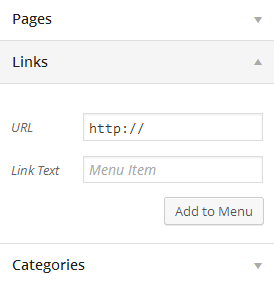 Just expand the “links” tab (left) and add your own link text and custom URL (use http:// formatting). Don’t forget to click the ‘add to menu’ button and save your work by clicking ‘save menu’. You can remove menu items by expanding their drop down (click the page button next to the menu title) menu and clicking ‘remove’. You’ll still need to save your work to apply the changes and note that removing menu items will not remove the pages themselves.